Although this plan is currently the cheapest plan in the country and it has also been around for over 2 years now, you would be surprised to know that its not even as popular as you would have expected it to be and this is because some people don't believe its real, some think its just a Promo while some are just not aware that there is a network provider in this country that gives as much as 10 Terabyte (TB) for a whole month at just N1,000. sounds cool right?. so prior to what most of you might think, the plan is actually real, its definitely not a promo considering the fact that it has been around for a few years now and for all those who aren't aware of it, now you are. You can imagine getting as much as 10TB of data for a whole month at just N1,000 while some other service providers will only give you about 1gb or less at that same rate. I know some of you might be discouraged considering the fact that this is just a blackberry BIS subscription plan, Like who still make use of the old blackberry in this day and age. But the good thing is that you can actually create an Hotspot on your Blackberry device and share the data among 5 Wi-Fi enabled devices at a time. Check out all what you need to know about this plan and also how to activate it below. ==> This is a BlackBerry plan just as I mentioned mentioned before, but the good thing is that your Blackberry device can just serve as an hotspot and you can easily share your internet connection with other devices which are Wi-Fi enabled such as your I-pad,I-phone,pc, mobile phone e.t.c. ==> Since Visafone uses only CDMA sim cards, you will need to get a customized visafone BlackBerry phone or if you have any other blackberry device that supports CDMA sims, you can just take it to the nearest visafone experience centre to help you configure it. ==> Just like every other Internet Service Providers (ISP), The browsing speed is determined by the service reception in your location. While some might be battling to get above 100kb/s others might be blazing with 500kb/s or above. To Subscribe for the VisaFone monthly plan, make sure you have at least N1000 airtime on your visafone Blackberry phone and send BBCM to 6000. 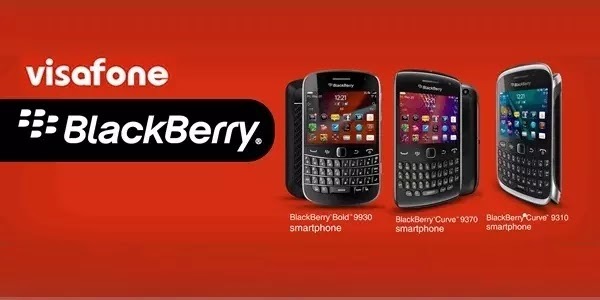 Note that if your Blackberry is not a Customized Visafone BlackBerry phone, then you have to take it to their Service Center close to you for it to be configured at an very affordable rate. Considering the high rate of data subscription in the country right now, you might want to give this a shot. N1000 for a whooping 10 Terabyte for a while month is just like browsing unlimited. But as i mentioned earlier, the service reception depends on your location so you might want to make a little inquiry before actually subscribing for this plan. You can learn more by visiting this Link. If you have any question or contribution, just drop it in the comment box below and don't Forget to share this post if it has been helpful. Thanks bro but how do I know if this network is in my area. I live at Ifo Ogun State thanks.